Discover and interrupt limiting habitual thought programming that keeps you from attracting and allowing what you want to manifest in your life! We start with awareness and recognition of often-unconscious belief structures that we mistakenly believe are real. Learn tools to interrupt those beliefs. Learn tools to establish new belief structures that support and empower you to experience life on your terms. Learn how to shift your energy and vibration at will by practicing simple easy tools. Begin to experience yourself as an energy being, with the opportunity to discover the presence of your own Inner Being. Inner Guidance, also known as intuition, is developed and becomes stronger. You are inspired to action, versus motivated. Motivated action is work. Inspired action is fun. Contact Diana to Schedule a Consultation! the experiential workshop “Forgiveness is a GameChanger – Set Yourself Free”. “Vibration Mastery Training”, an 8-eight week coaching program. a workshop in Spanish, !Cambia el Juego De tu Vida!, based on my book; “Game Changers”. “It’s Not What You’re Eating-It’s What You’re Thinking” – weight loss program. Course In Miracles Study Group. Who Is Diana Cason, and Why Should I Listen to Her? 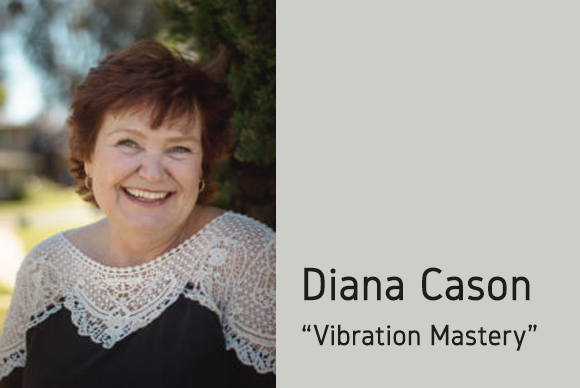 Diana Cason is an expert in aligning energy vibration with the frequency of what is wanted, and with Spirit/Inner Being. 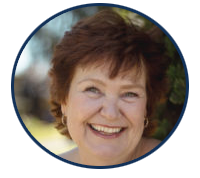 Diana has studied and practiced metaphysical principles for over 30 years. She develops and facilitates workshops on forgiveness, mastering vibration, and releasing the past. Diana provides private coaching to elevate self-esteem, develop self-trust, and create life on purpose. In her book, Game Changers: Simple Easy Tools to Shift Your Energy, Your Attitude, and Your Vibration in Minutes – Diana invites all Spiritual Seekers who want to learn the power of directing your thoughts to feel good and be the active creator of your life. Master your energy vibration to allow what you want to flow into your life more easily and with less effort. Heal relationships, release the past, and live in the NOW for increased joy, love, health, and vitality. If you’re looking to shift your vibrational alignment with Spirit, Diana reveals how every spiritual seeker can learn to feel good and recognize good regardless of circumstances. Learn more about Diana via her AYRIAL profile and explore additional opportunities with her. 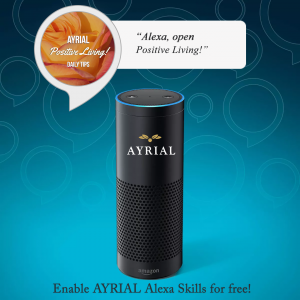 Listen to AYRIAL Inspriational and Motivational Tips on the AYRIAL Alexa Skill.